High Amplify Conditioner is rated 3.0 out of 5 by 2. 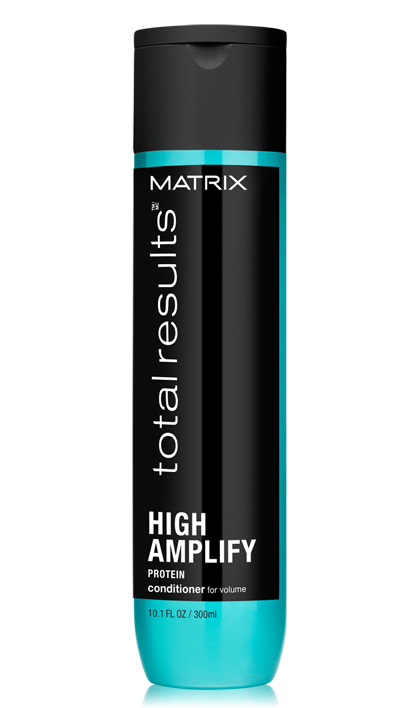 Share https://www.matrix.com/total-results/products/high-amplify/high-amplify-conditioner High Amplify Conditionerhttps://www.matrix.com/~/media/images/haircare/totalresults/high amplify/total_results_high_amplify_conditioner_tr-ha-c.jpg Conditions to help boost structure of fine, limp hair. High Amplify Conditioner with protein, helps boost structure of fine, limp hair to build body for lasting volume*. Hair is voluminous and full with lift that lasts. Rated 5 out of 5 by the makeup wand from Light formula I've been using this conditioner for a while now and my hair looks incredible. I have really fine hair and every conditioner I used so far made my hair so heavy and lifeless. This one has a light formula and my hair feels soft, smooth, with volume, and it last until the next wash*. I can't wait to try the styling products and to write about them on my blog :D Note that I usually wash my hair 3 times a week due to a hair treatment I make. Rated 1 out of 5 by tj123 from Horrible stuff I have tried all of this line and the others and they are horrible. Dry, breakage, lifeless and for some reason all of their products make my head sore. Like you have had a ponytail or clip in for 3 days and this is about within 3 to 4 hours after washing. DO NOT BUY THIS! IT DOES MORE HARM THAN GOOD.